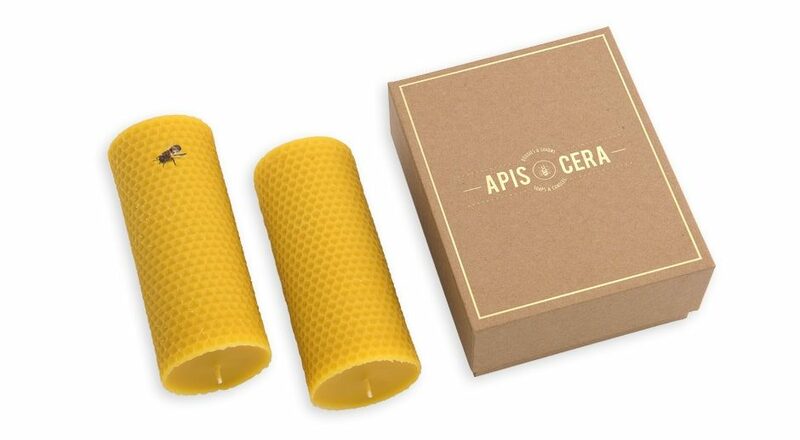 This lovely box of 2 pillar candles is custom-made to ensure their safe transportation and good conservation. 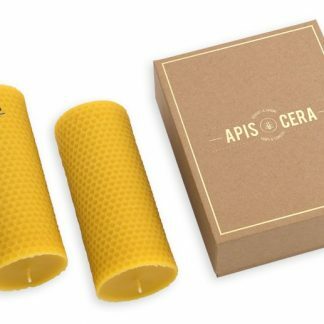 The candles are delicately wrapped in our bee-printed silk paper and closed with Apis Cera’s trademark seal. This candle is called “Ambroise” in reference to Saint Ambrose (c. 340 – 397), archbishop of Milan, known to be the protector of beekeepers. 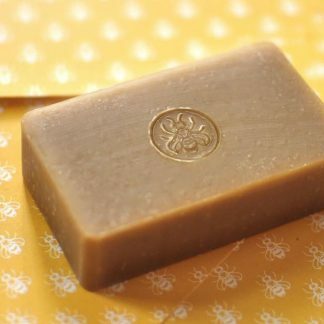 Ambroise is handcrafted by using a mold made by Apis Cera. Shorter and thicker than our flagship model, Lucienne, it has the same unique texture on the outside with the honeycomb pattern, although it is poured and not rolled. 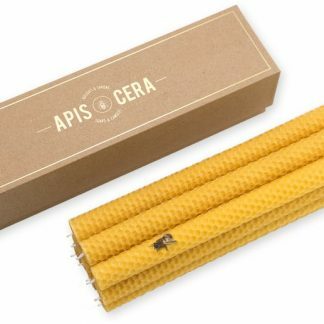 The beeswax used for our candles has won the gold medal at Apimondia (International Federation of Beekeepers’ Associations). 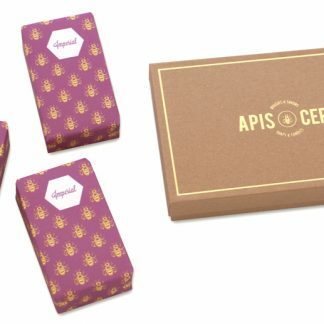 – We use 100% pure beeswax without additives or coloring. – Color and perfume may vary depending to climate conditions, season or origin. – Shape and size may vary slightly from one candle to another. – The wick is 100% pure cotton. – All of our candles are made in traditional fashion, in harmony with Nature. During its first use, leave the candle burning for at least two and a half hours or wait until the surface has entirely melted. It will prevent the formation of a pool. If the flame is too big, the wick needs to be shortened Put out the candle and cut the wick a little. It should be approx. half an inch (15 mm). And don’t let it burn for more than 3 hours in a row. For safety, please place the candle on a stand or a cup and not in a glass.